A memorial service is a chance for relatives, associates and friends to say a final farewell to one who has passed away. A lot of different influences can affect the way these events may flow. 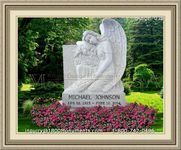 Having a funeral program printed and passed out will help all attendees understand and follow the proceedings. This printout can be a single sheet of paper or a pamphlet of multiple pages. It will contain the honoree's full name, the dates of their birth and passing, and the details of when and where the services will be held. 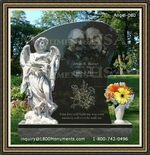 The deceased's photograph is also something most families choose to include on the product's cover. The inside should contain a complete ordered listing, start to close, of how the service will proceed. For each passage, poem or song that is used as a tribute, the title, author and person who is performing it needs to be listed. It would also be a thoughtful gesture to have the obituary included as part of the publication. Having a printed order of service helps the officiant to keep the proceedings flowing smoothly and in a timely fashion. It also provides an opportunity for those in attendance to follow along. Everyone will know what to expect as well as the details of any tributes performed during the event. Aside from letting everyone know what to expect, these handouts often provide mourners with a sense of comfort and closure. It gives them a physical reminder of a very personal occasion. There is no wrong or right way to grieve, and for some, these mementos are key coping mechanisms. 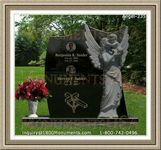 Creating a funeral program serves multiple purposes for many people. 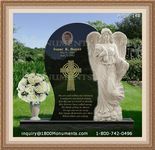 They provide pertinent information about the deceased and present a listing of how the memorial proceedings will flow. This document is also a keepsake of sorts for those who desire to take some physical reminder for memory's sake.